• Back-up hemodialysis for home trained patients and patients from other facilities that are consulting with Lady of the Sea Dialysis Center. • Temporary maintenance hemodialysis for patients awaiting transplantation, patients training in continuous ambulatory peritoneal dialysis, or other forms of treatment of ESRD. • We provide related supportive care to patients with ESRD. 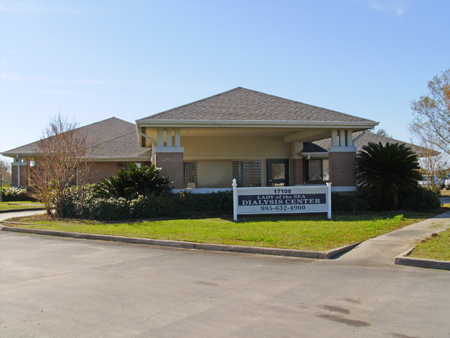 The Renal Dialysis Center at Lady of the Sea General Hospital is located directly in front of the hospital off of Highway One at 17108 West Main Street in Cut Off, Louisiana. Our regular working hours are Monday, Wednesday, and Friday from 6:00 a.m. to 4:30 p.m.
We provide a Nurse Manager responsible for the overall operation of the unit as well as Registered Nurses and Dialysis Techs, a Registered Dietitian and a Social Worker. Dr. Gregory Maidoh, functions as the Medical Director and is responsible for operational oversight at the Renal Dialysis Center. For additional information, please feel free to contact the Dialysis Center at (985) 632-4900.